At some point in most of our lives, probably between the ages of five and ten, someone asks us what our ideal superpower would be. Would you want to fly? Be invisible? Make cash appear out of thin air? Now, think about your dream bike. If you could give your dream bike a superpower of sorts, what would it be? It could be anything, really. Money is no option! The fun thing about dreams is that they don’t have to be real. Some of us would choose to never have a flat tire ever again. Others would hope that their wheels never came out of true, or their gears out of index. Some though, would want their bike to choose their suspension settings for them automatically. 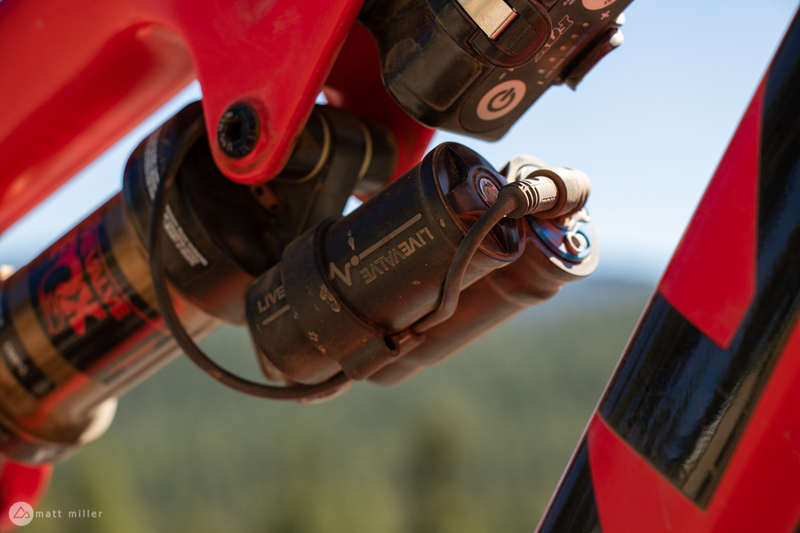 We’d never forget to lock our suspension on climbs or open it on rough descents. The business of cable routing increases with Live Valve. Well, with a chunk of cash, Fox can make this particular dream come true. Fox announced the Live Valve this summer and it does just that. 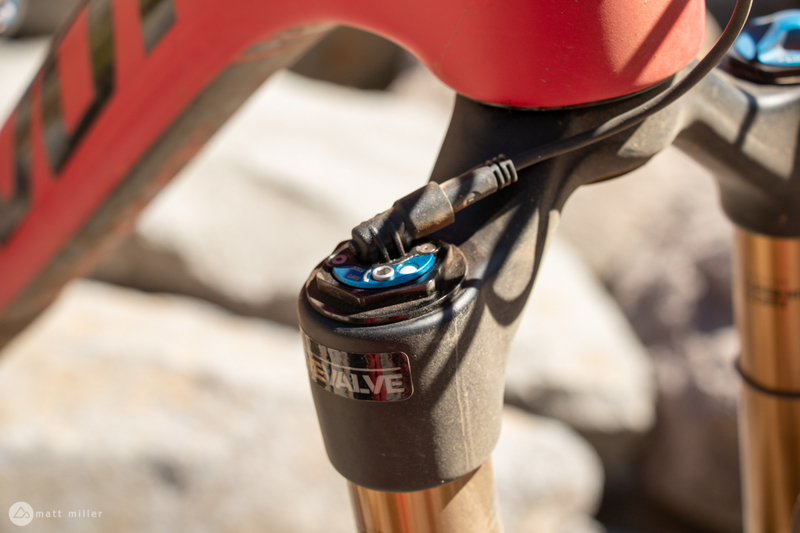 Live Valve knows when you’re climbing, it knows when you’re descending, it knows when you go off a jump, and it chooses your suspension settings for you. Maybe Amazon’s Alexa isn’t so creepy after all. 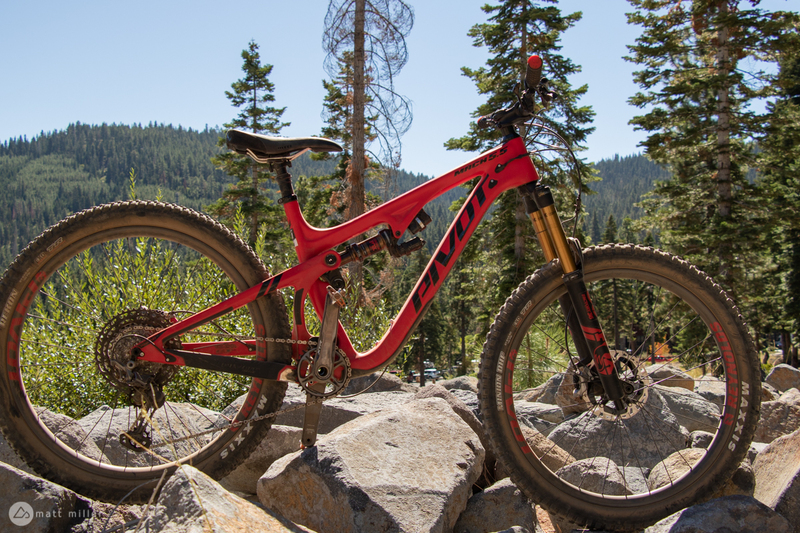 Pivot Cycles set aside a Live Valve equipped Mach 5.5 for me at the Interbike Outdoor Demo at the Northstar bike park in Truckee, California last month. I took it out for a few hours to see if it’s everything I’ve dreamed. What is Live Valve, again? The development of Live Valve dates back a few years and has seen use on motor vehicles. Fox says that it’s an automated electronic suspension system. 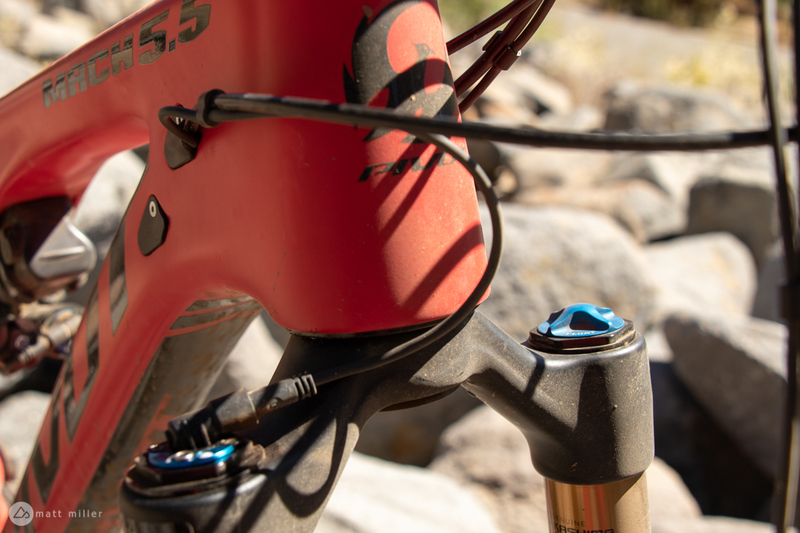 A single controller will change the way the fork and shock act, independently of each other, based on the terrain. This controller sits on the frame and does the thinking and relaying for most of the system. It also holds a battery, which lasts for 15-20 hours on a single charge. The battery is charged by micro-USB. If it dies or is off, the suspension returns to open mode. If the system doesn’t sense motion for more than 90 minutes, it shuts off. A full charge takes close to two hours, but a 15-minute charge will supposedly be enough for a two-hour ride. The charging port on the battery and controller is covered by a rubber flap. The suspension modes are controlled by the plus or minus signs. There are three main sensors that are used to identify climbing, flat trails, and descending. 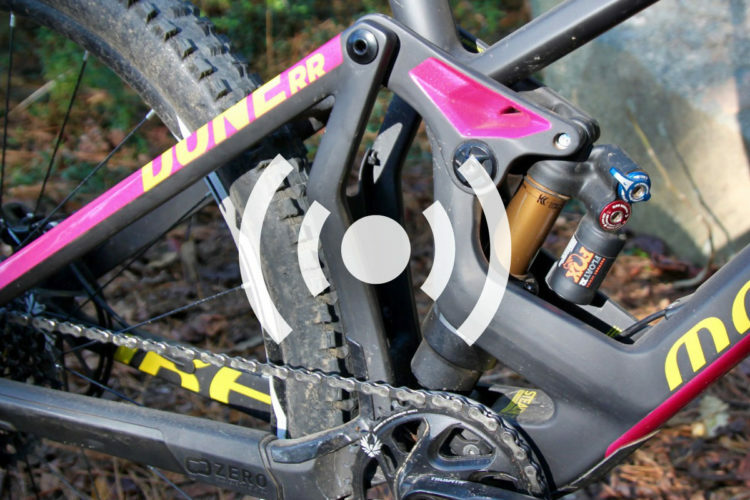 A front sensor sits in the fork and IDs bumps on the front wheel. Another sensor on the chain stay IDs rear wheel bumps. 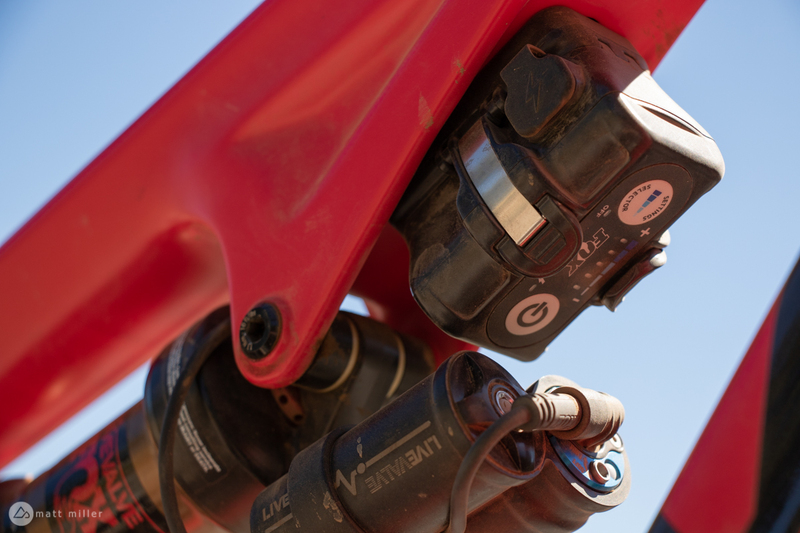 Pitch sensors, which ID the angle of the trail and jump sensors — yes, jump sensors — are located in the main control unit. 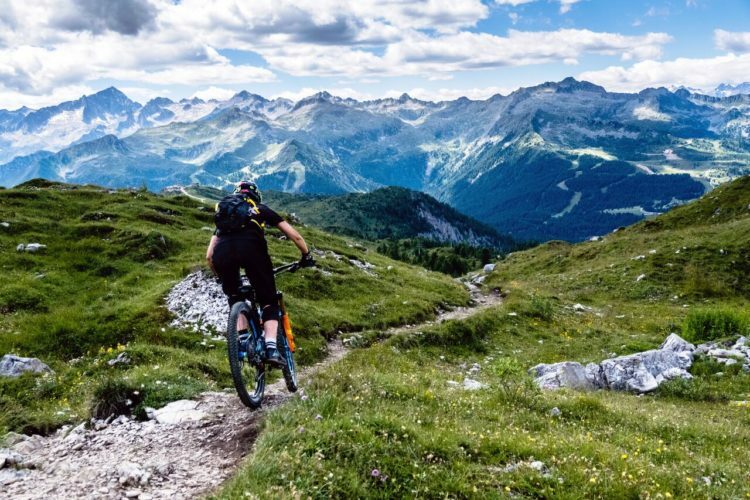 The sensors communicate about 1,000 times per second to instantly recognize any changes in the trail. The Live Valve also includes a solenoid or switch that can open the suspension valves in about 1/100th of the time it takes you to blink. Supposedly, this means that the valves will change before the rider even feels the input. Compression can be adjusted via hex key. Live Valve can be used in five different settings, which change the firmness of the suspension feel. This is called the ‘Bump Threshold.’ What it does though, is tells the valves to react to smaller or bigger bumps. Thus, the system can have a more firm or more open feeling as a whole. Live Valve works with many bikes, so the controller and battery components weren’t designed to be internalized. It can also work for many disciplines and can be equipped with a Fox 32, 34, or 36. 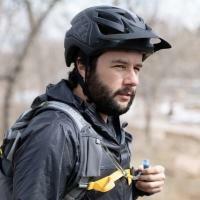 Live Valve is water-resistant so riders can spray their bike down without worry, but taking your mountain bike swimming isn’t recommended. As an after-market upgrade, the system costs $3,000 to $3,250 depending on if it’s integrated with a Fox 32, 34, or 36. 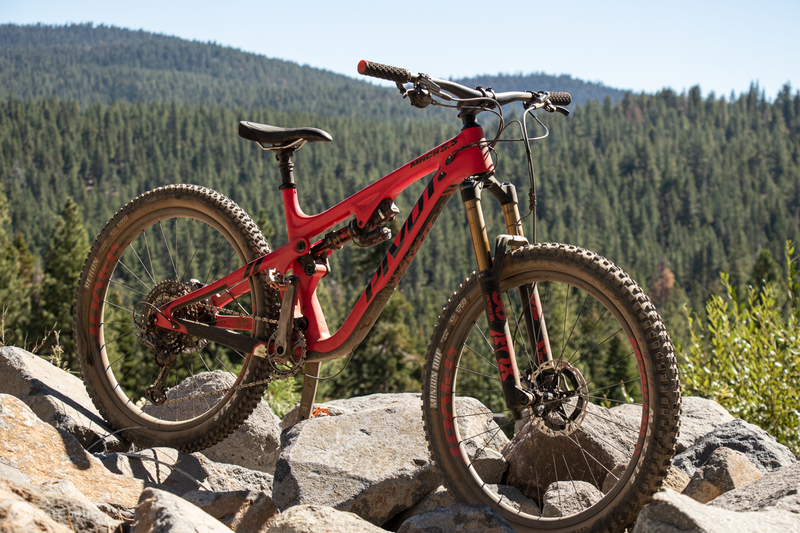 On the Pivot Mach 5.5 we tested and other OEM models, it’s a $2,000 upgrade. Live Valve adds about 144g compared to a cable and remote system, but even more if you’re not currently running a remote. Isn’t it just like the Brain? No, not at all. The Brain is a damping control unit found on Specialized bikes and currently just its Epic model. The Brain senses input from the rider and from trail bumps and distinguishes between the two. 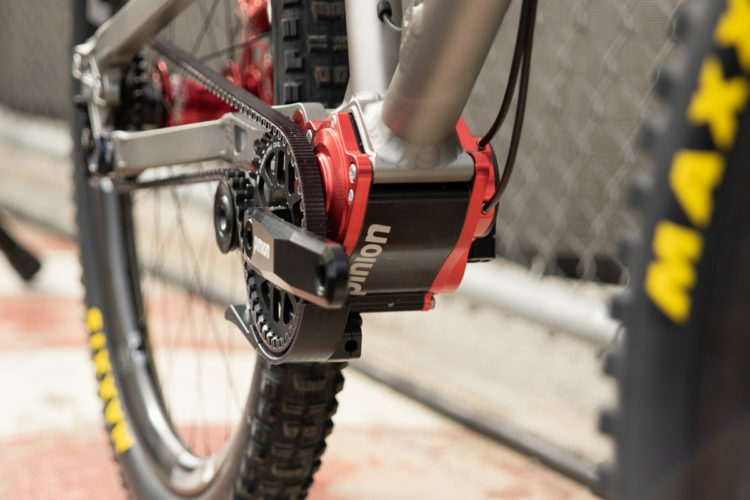 It was made to control compression from pedaling forces and still allow compression on terrain. 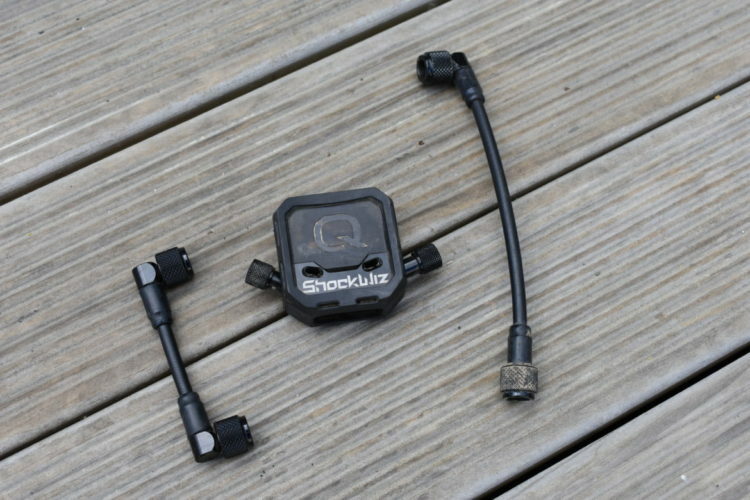 The Brain shock valves don’t open up if input is coming from the top of the shock, but if input comes from the bottom, (the trail), then the shock opens up. 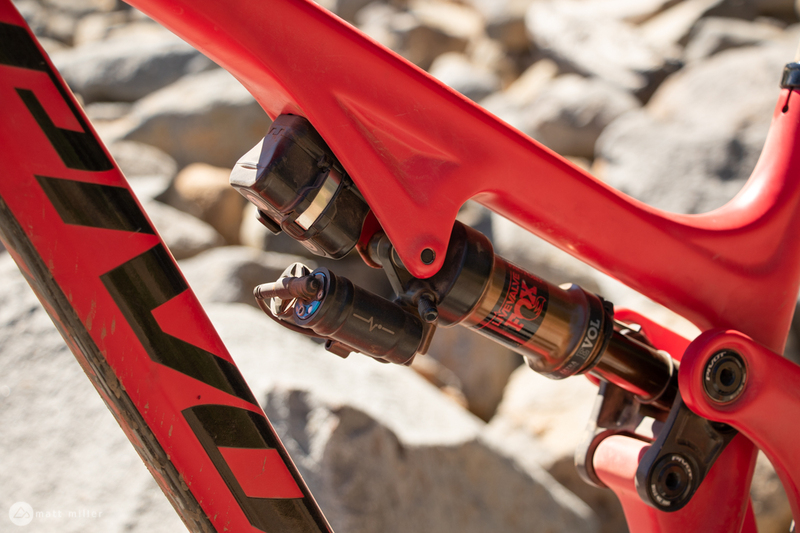 Sprinting out of the saddle means the shock is closed to deliver power to the trail. 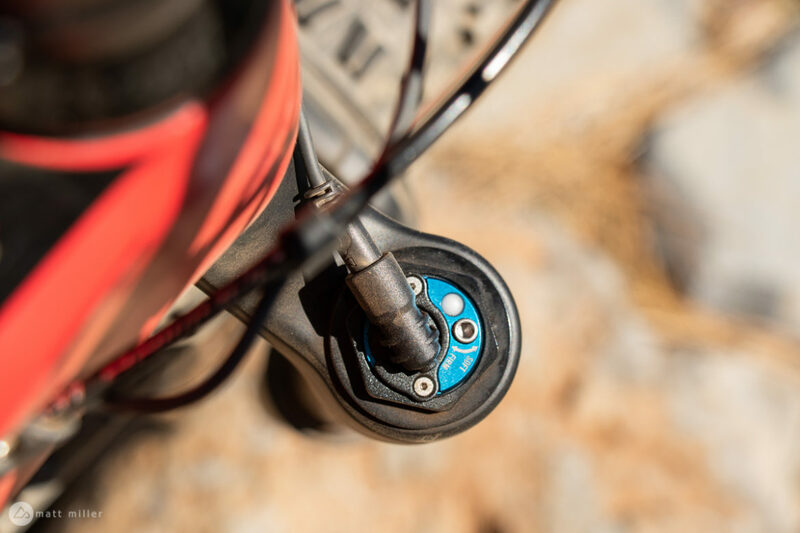 When the bike moves over rocks and objects, the valve opens and works like a shock is supposed to. The Live Valve on the Mach 5.5 is noticeable, but subtle. Photo by Matt Miller. Live Valve knows when you go airborne. It did not auto-lock in mid-air on me. Photo by Jeff Barber. 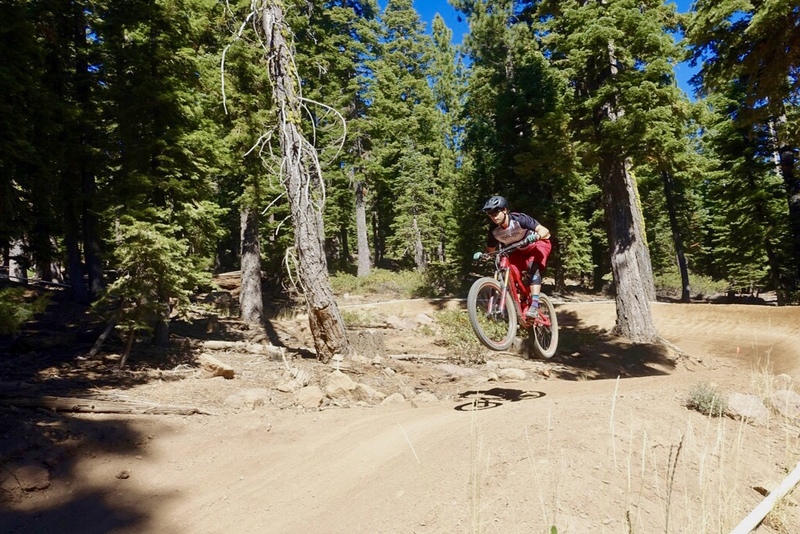 I picked up the Live Valve Equipped Pivot Mach 5.5 from the demo tent at Northstar bike park. Ron Koch and some other folks from Pivot gave me a run down on using the Live Valve system before letting me loose. Initially, the thought of using electronic suspension is a bit intimidating, but after seeing the controls in person, it’s easy to digest. 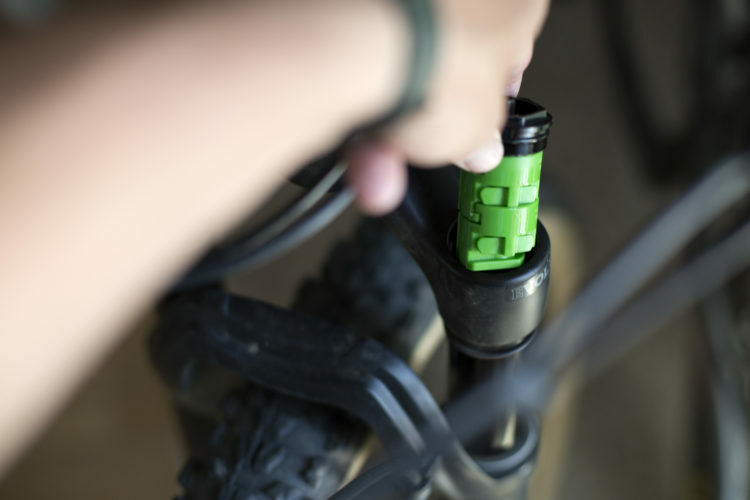 Compression settings are controlled with a hex key on the fork. Dial the plus or minus buttons on the computer up or down for a more overall firm or plush feeling, and air pressure still controls the sag. From the demo tent, there’s a short jaunt of asphalt over to the gondola. I hopped on, threw the dropper up and pedaled over to the center of the village. On flat and inclined sections of asphalt the Live Valve puts itself into a lockout mode. 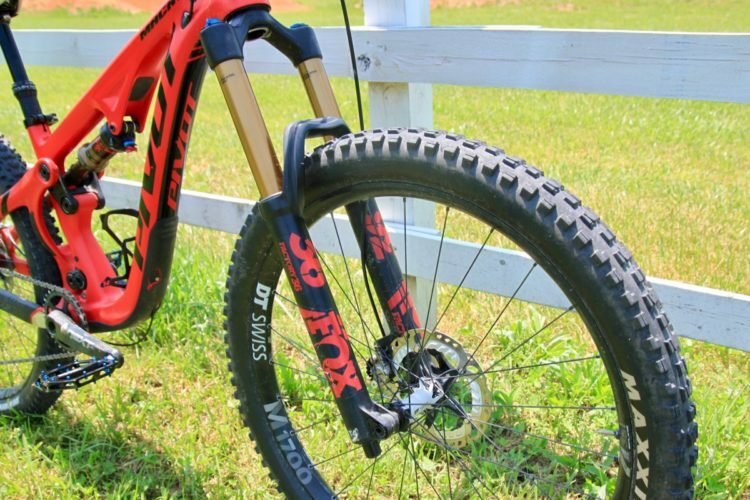 The fork features is a rock-solid lockout. The rear shock still had about 15-20% compression in it, like it would normally in the firm setting. Jeff and I took the next lift up from the gondola to the top of the park and warmed up on the jump trail Live Wire –- probably a bad idea, but oh well. The trail starts with a fast roll in, some rollers, and tabletops that gradually increase in length. The suspension opened up before I was even on the roll in. This must have been a result of the changing pitch toward the trail. I had full confidence in the Fox suspension hitting the jumps. As mentioned previously, if the system powers off due to a low battery or another reason, it returns to open mode. All the way down Live Wire, Live Valve did the thinking for me. Through berms, and tabletops, step ups and downs, it matched the terrain. The next run Jeff and I got together for would be more telling. This one was more representative of normal singletrack with flat, pedally sections, steep, dusty and chunky parts, and a climbing doubletrack section. Live Valve does add some noise to your suspension. You can hear the solenoids and valves working and they make little clicking noises, but it’s not distracting. The Live Valve performed to expectation once again. As soon as the front tire pointed up, the suspension locked out. If there were rocks sprinkled throughout the trail, the valves opened momentarily for traction and then locked out again on buff ascents. What Live Valve doesn’t do, is figure out your preferred compression settings. Riders will have to dial in their low speed compression and set sag to preference. With only a few hours of time on the trail, I left impressed. The Live Valve is an amazing piece of technology. I couldn’t peg down everything the system does right or wrong after a few hours, but it did everything right for me at Northstar. Live Valve should be making its way into the hands of elite racers without question. I can’t think of a type of rider it would be more suited for. For simple folks who want to keep their bike gizmo-free, Live Valve isn’t for them and that’s fine. The durability and serviceability of the suspension system has yet to be seen, also. I’d assume that system malfunctions will require the computer or components to be sent into Fox. 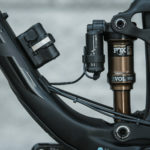 But, for racers who want to enhance their machine’s capability and simplify what they need to think about on the track, Live Valve will be a welcome addition, even for downhillers, although it currently isn’t suited for a Fox 40 fork. 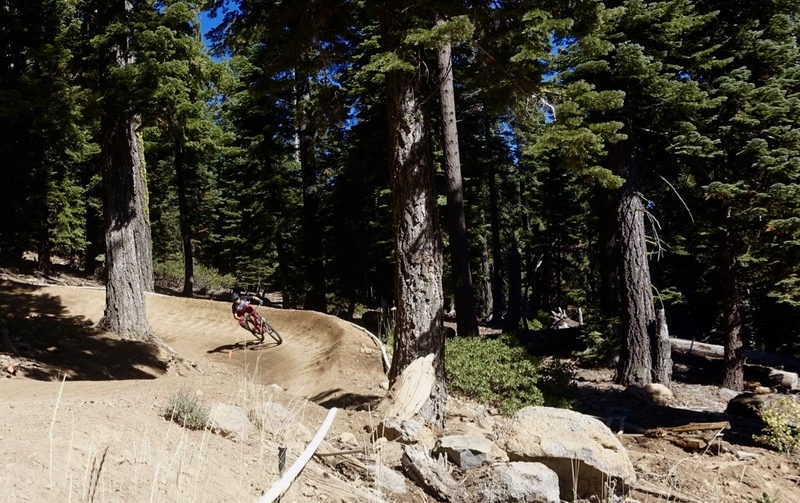 But, for elite XC racers, enduro racers, trans-enduro format racers, it’s worth it – if you’re a Fox athlete. 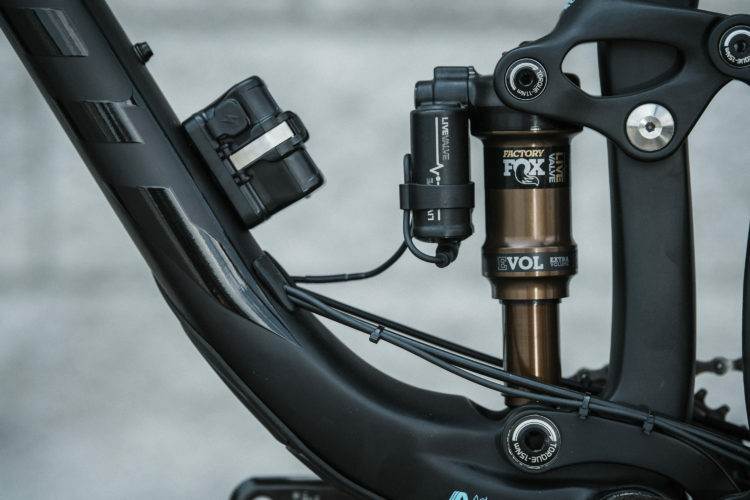 Outside of the racing realm, if you have the money, the technology behind Fox Live Valve is amazing. Yes, it’s costly and unnecessary, but it’s also a feat of engineering. Fox Live Valve performs better than expected. 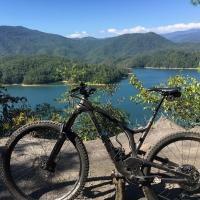 It is a costly piece of equipment, but one that could be worth it for the rider who wants to enhance their mountain bike’s capability. 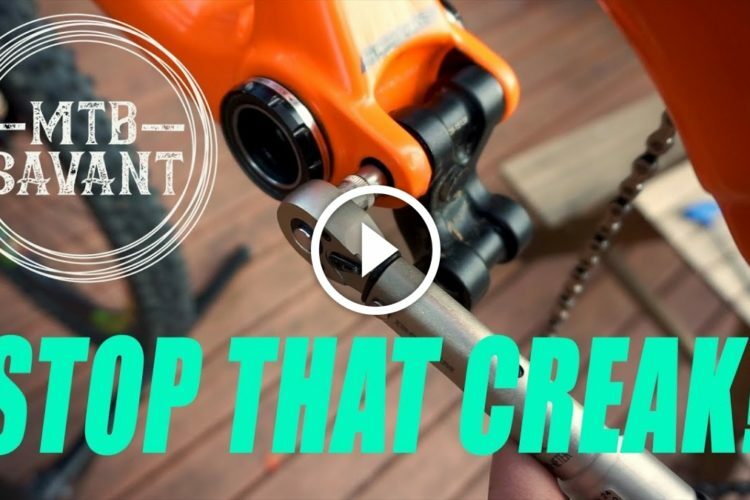 It’s not a do-it-all system, and it’s hardly a “set and forget” piece of equipment either, but in the right hands, it can make a fast mountain biker faster, and any other mountain biker smile. Cool piece of technology. Would love to have something like this when prices come down out of the stratosphere. Curious how the sensors work as I can’t help but wonder if/how dirt, dust or mud might impact (you addressed water). Yeah not too sure on dust and mud yet. I think time will tell on that account when reports from serviceability and durability come back. Off the bat, it doesn’t sound like dust and mud should be a problem.